WELCOME to my blog where i talk about items, topics, events, trends and occurrences that piques my interest. Yes right, i blog what’s on my mind, ‘my thoughts; just the way it is’. Hold up a minute, this is year 2019, i do have a niche. It lies somewhere between Teaching How To Do Tech | Managing Tech Communities & Techies | A little Blogging | and Public Speaking. I currently work as a Product Manager @ How Do You Tech, an edu-tech research firm documenting useful and correct answers to questions in tech. On my blog you will find random musings and information on whatever pops up in Mary’s head, otherwise explicitly stated. Call me MJ, i love my creator and i love myself, i love simplicity, i am very easy going and fun to be with when extroverted, i can be an introvert or extrovert, all depends on how i feel at each moment. I love to meet new and exciting people, networking, exchanging ideas and learning new things and cultures. I love mysteries, my interests lie in going deep into information society technologies and Law. Yes, you read me right, studying Law is still on my to-do list. I use social media purposefully and i enjoy exploring tech gadgets. I love traveling and adventures! I am always a digital nomad at heart and soul! I enjoy experiencing new places and i definitely love taking photos. I like to take pictures of people, food, myself and any sight that piques my interest. So who doesn’t love a good healthy meal ehn? The irony, i am not a fan of cooking, but i love great tasting meals. Want to win me over? Offer me some great tasting chocolate cheese cake, preferable from Caffè Tranche By Araba or a trip to any Java House of Africa, or the Mediterraneo Restaurant. These people have the best meals and dessert. And it’s not just about the tasty meal, its’ the presentation of the meal that makes me drool. Jajajajaja…sighs oh yeah, where was i? OK. So i also got a mission to travel around the world!! And i love the saying “All izz well” from the movie – 3 idiots! Don’t tell me you haven’t seen that movie🧐?? If you have anything you want to say about my blog, feel free to leave a comment, or click here to contact me or send an email to mary@howdoyou.tech, i would be ecstatic to read from you. Lastly, If you like my blog and you enjoy reading my posts, or enjoyed reading any one particular post, please follow my blog, and make use of the social media ‘share buttons’ to share with your friends too, after-all knowledge sharing is power!! And sharing is Caring too!! Thank you, enjoy reading and have a Happy Reflection!! Inspire me to keep my blog running *grins* You don’t blog? Get started now, click this widget below. Copyright: All written content, video and photos or pictures is Mary Job 2015 – 2019. Except when explicitly stated or (attributed to original source). Unauthorised use and or duplication of these materials without express and written permission from this blog’s author and or owner is strictly prohibited. Excerpts and links may be used, provided that full and clear credit is given to Mary Job/Mary M. Job with appropriate and specific direction to the original content. Nice blog, i am enjoy it. Thanks Abdul, i am happy to read that. Happy to connect too 😊let’s stay in touch. Cheers. Hi hi Zainab, thanks for that. Checking it out now. Your website looks like fun. I will look forward to your posts. Thanks for the follow back. Oh and Zainab I read your post about hemp seeds, you need to turn on comments on that post. No comment box showing. Cheers. Very Interesting style of Introduction?! Thank you Tunde. Apologies I couldn’t make it. See you at another. Cheers. I am happy to find your blog here. I would say I sought it out deliberately, following the WCLagos 2018 event. Yes, we saw at that event. Hope you can recall… If not no problem. Nice niche, some day I hope to conquer my fear on public speaking and blog a little techy…after all I help teach my folks how to use their devices (if that counts, lol). Can’t wait to see your food pictures (cos you got me there). I mean who hasn’t seen 3 idiots?? Thank you for stopping by 😀. You are appreciated. That surely counts. Imagine teaching total newbies how to use a PC, its same o.
Ah then someday I’ll give it a shot. Thanks Sir always. Your support is appreciated. Let’s it to the next level…excited. Spence my brother…..yes o. Where have you been and how you dey…will buzz you later today. Wow. Thanks. Will check that out. Cheers. Hahaaaa I love the “Strait Outta Ijebu” Like propa African Girl. Go girl. Your energy is great and i cant see more of your awesome content at the Pit Stop! Thanks for bringing it! Thanks Julie. Yes o @ proper African girl…hehe. thanks for reading, you are appreciated. As I was reading a lot of blogs, I stumbled upon your blog, which is a very inspiring one. Lots of content to read, spreading good vibes and creativity. A big thanks for visiting my blog. Have a good day! Thanks Katie. Xoxo. Am off to explore on yours. Thank you for taking out time to check my blog. Glad I found your blog, it’s beautiful! Aww thanks Della, pleasure is mine. Thanks for stopping by and taking time to read. Xoxo. Oh yeah I agree. It can be lonesome. Will sure do. Hoping to have my travel blog launched soonest. I’m kind of 😧😨😅 of writing, so I want to do travel videos 😁. Thanks for the “follow” you have a new fan, too. Haha thanks a lot. Yeah all izzz velll 😂😂 we only got to believe it is. Hi there, thank you so much for following my site, it means a great deal! Your site looks really interesting. I’m looking forward to finding out more! You absolutely welcome. You are so kind. Am off to explore yours as well. Good morning Mary, Thank you so much for liking my comment. Unfortunately things are getting a bit strange over here in the land of the free! But with a good blog there is always hope for more communication, more friendship, more love, and more hope. I look forward to your blogs. You are absolutely welcome. It’s my pleasure. You write very well. And you are absolutely right about more communication and love and friendship and hope that comes with blogging. The pen is indeed mightier than the sword. Cheerio Paul, Nice to meet you once again. I just wanted to come by to thank you for the kind words you wrote about my 71 tips article on Danny Ray’s blog today. I am glad you found the tips valuable. Thank you for the kind words. Wooow. That’s awesome Janice. I guess, oh not guess, am certain you are filled with awesomeness. Lovely to make your acquaintance. Now we are friends. (Am assuming… Haha). I bookmarked your tips page, am going to print it out and explore, check listing. The emphasis all boils down to networking, we cannot underestimate the necessity of networking in today’s age. Would love to sit in your class and pretend to be a 7th grader so I can learn from you. Am from Nigeria and I reside here. Been to Ghana, Togo, and I look forward to exploring more. Cheerios. What does “IJEBU” stand for? I’ve heard of “Straight Outta Compton” before but that’s about it. Hi Sherrie, oh no but you are not being ignorant. Don’t you know no one person knows it all. Ijebu is the name of a town and tribe of people from Ogun State, in Nigeria. I believe you know Nigeria is a country in the western part of Africa, and Africa is a continent with about 57 Different Countries. (Not so sure, but I know it’s between 50 and 59). Since straight outta Compton says I am from Compton in the US. 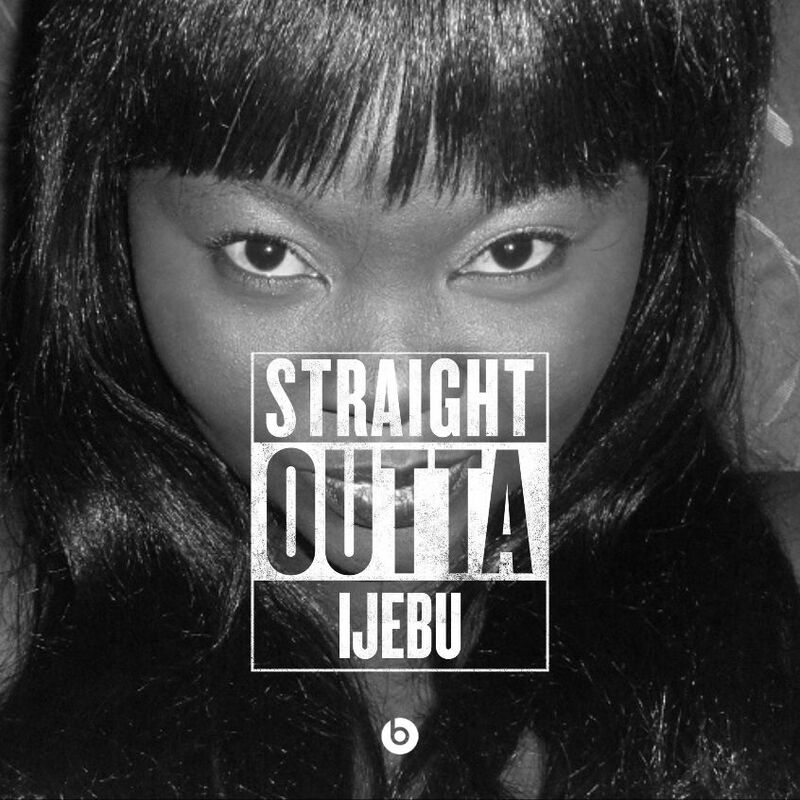 Hence Straight outta Ijebu says I am from Ijebu in Nigeria. Do you get? Thank you for commenting and liking my post “Sully Saturdays #3” on OUR RETIRED LIFE. Thank you Arlene, you most welcome. It’s my pleasure. Cheerio. Jajajaja…I always do, mostly. Hehehe. Thanks for the follow, hope you enjoy reading…mhh. Cat eyes…I’m always told am half Asian, half Polish, half Nigerian, as a matter of fact, I like diversity so am from everywhere…Hehehe. Waiting for you to tell me the treasures you find. Be rest assured am haunting on yours too. Anyway, I look forward to learning more about you! Yes Sherrie, thank you. Well that’s a possibility, you might just be related. All these genes mixing here and there these days eh. I look forward to knowing you better too. Cheerio.